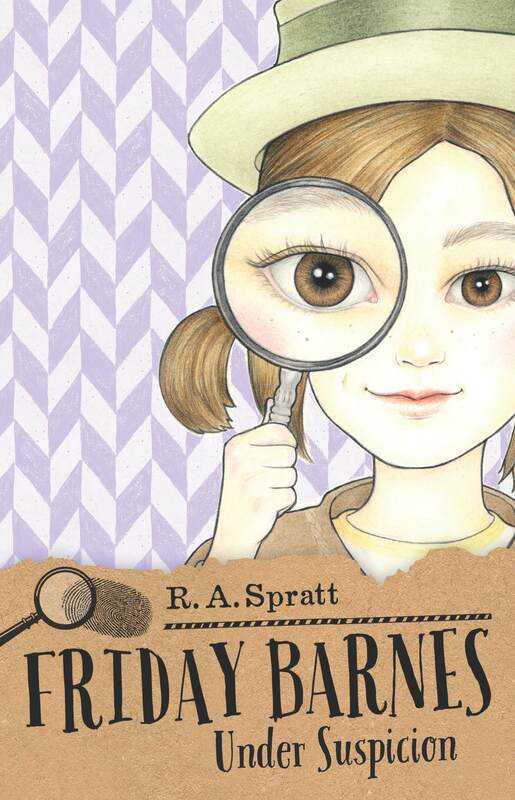 R. A. Spratt is an Australian author and television writer, best known for writing the Nanny Piggins and Friday Barnes series of children’s books. She lives in Bowral, NSW, with her husband and two daughters, where she enjoys gardening and napping, but rarely gets the time to do either. She is currently in training for the Robertson Show Potato Race. On October 20th 1997 I started a two-week internship at Good News Week productions. They put me in with the writers and I discovered I could write jokes. At the end of the two weeks they offered me a job as a writer and I ended up staying for over three years until the show was cancelled in 2001. I’m just finishing up Friday Barnes 3: Big Trouble. It’s due soon, so I am procrastinating by doing this interview. I’m also supposed to be checking the copy-edit of Friday Barnes 1 on the re-edit for the US market. So really I’m double procrastinating. Messy. It gets messier and messier as I write a book. Then I do a big clean up after I submit a book manuscript. This system goes horribly wrong when I write two books back to back and the mess keeps growing for a year or more. After I’ve dropped my kids off at school and daycare I come home, drink coffee, check email and social media, drink more coffee and then get to work. I like to nap when possible. I come up with good ideas when I’m napping. But sometimes I can’t nap so I force myself to stay awake by eating chocolate as I work. I have a second round of working from 8 to 10pm at night while my husband puts the kids to bed. I come up with a basic plot structure for the whole book, and key plot points. Then I work out the plot for the first act in my head. Then I sit down and write that. I write very quickly. I write the whole book from beginning to end without editing. Plotting a chapter then writing it up. This takes several months. Then I go back and edit thoroughly, but always working from beginning to end. I honestly do it for the money. The same reason anybody goes to work. To pay the mortgage. To pay the bills. To keep my children in the style to which they’d like to be accustomed. Being a writer is all I’ve done since I was 22 years old (17 years ago) and I can’t conceive of having a regular job anymore. That said, I have a strange relationship with my characters. I don’t think of them as being part of me. I think of them as three-dimensional, living, breathing entities in their own right (or at the very least in my own mind) whom I have a paternalistic, protective responsibility towards. So for example, if I don’t get commissioned to write Friday Barnes 5 I will feel that I have let Friday and Melanie down. And I really like Friday and Melanie so I will be very upset. Roald Dahl, Madeleine Albright and Douglas Adams. I admire ideas in vast quantities. I admire work ethic. I admire good comedic ideas. My ideas come from all over the place. My brain is good at latching on to small details, storing them away for years and popping them back out when I need a good plot point. In mystery novels the clue can be very simple but the explanation is complex, like the Sherlock Holmes story about the dog that didn’t bark. So I often find myself staring at something as simple as fallen autumn leaves and thinking up sinister complications. I don’t like to talk about negative things. Obviously there are negatives, but it seems petty to dwell on them. Being an author is a wonderful job. The bad bits are all to do with real world issues. It’s much nicer to dwell on the fun fictional stuff. I want to sell more books. I want to be published in the UK. I want there to be film and television adaptations of my work. I also have the concept for a new series worked out, and I’m already starting to feel a sense of responsibility to those characters in my mind. I’d like to write that next. I want to write something about brothers. I like the way brothers talk to each other, they have a unique type of dialogue. I also want to write a picture book. I want to improve my poetry writing because I’d like to write a picture book that rhymes. I love the anticipation of waiting for each and every J. K. Rowling/Robert Galbraith book. Judith Rossell. Emma Darcy. 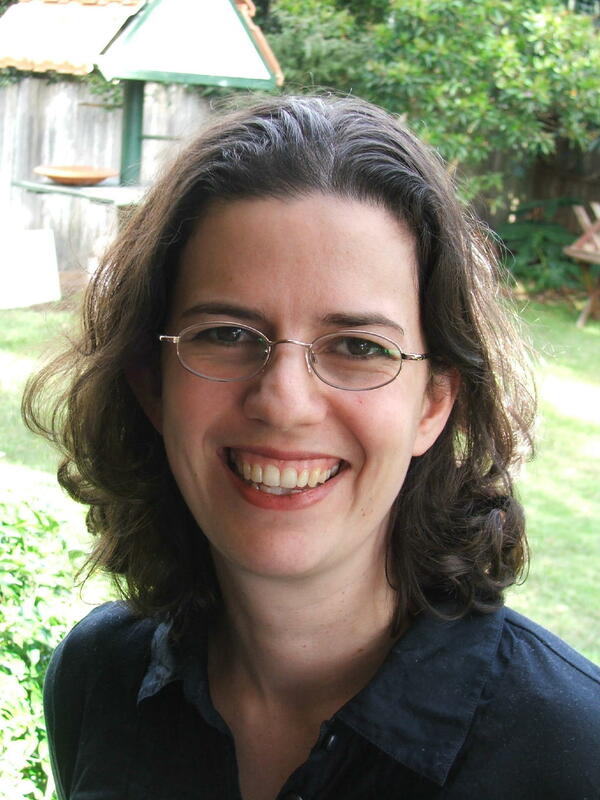 Alison Lester. Thank you, R. A. Spratt!